Maintaining health and cognition is vital to ensure that individuals can live autonomously up to and including old age. One of the most pressing topics in today’s aging societies is how to delay impairments in health and cognition in old age for as long as possible, with a particular focus on cognitive and physical functioning as these are of particular importance to maintain autonomy. 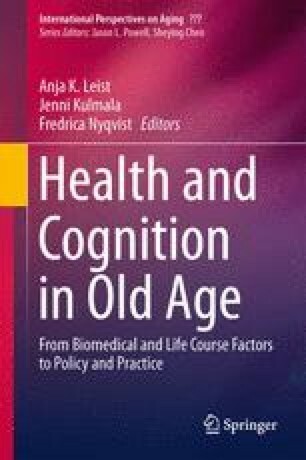 This edited volume presents four different perspectives on developments in current aging research relating to health and cognition in old age. Using health as overarching concept, the volume addresses different components of health such as physical functioning, cognitive health, mental well-being, self-regulation, and others. First, it examines the role of biomedical factors in aging by identifying crucial elements of the biological aging process and presenting possible interventions which aim at ensuring a healthy and active old age. Second, the volume gives an overview of new findings on how influences across the life course contribute to cognition and health in old age. Third, it presents advancements in care and interventions, which aim at maintaining and improving impaired health and well-being of older individuals who are in need of care and assistance. Lastly, the volume illustrates approaches in policy and practice by presenting both individual resources and societal processes that shape the experience and images of old age. We would like to thank Dr. Marius Wrulich for helpful comments on an earlier draft of this chapter.